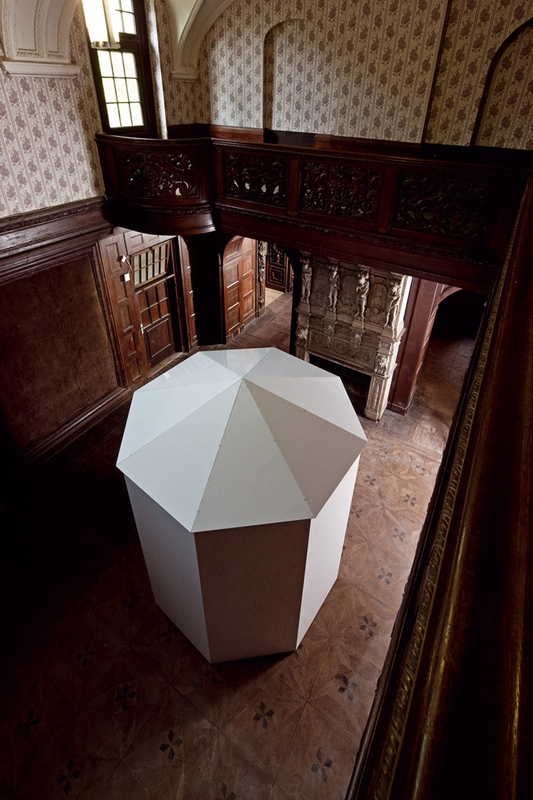 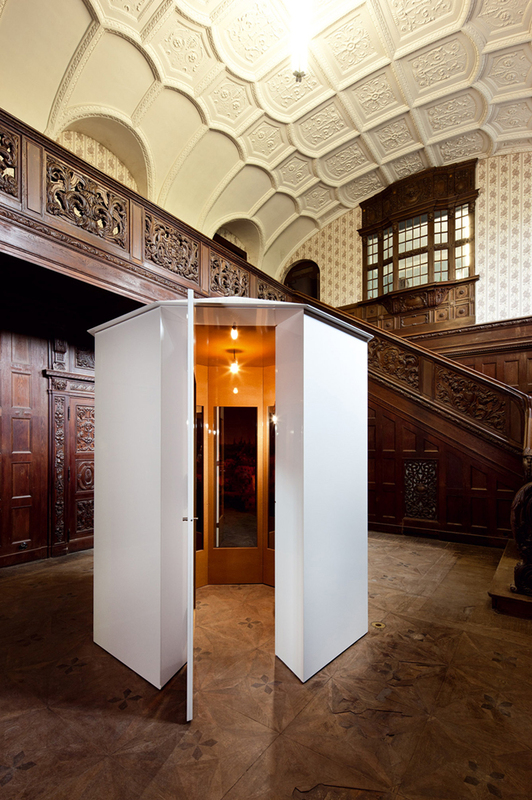 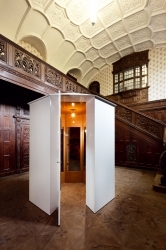 The pavilion called Ivory Tower is an octagonal, interactive architectural sculpture. 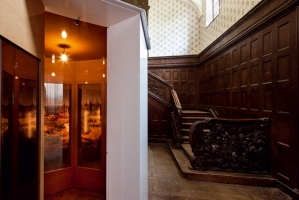 The viewer opens the door and enters the darkened pavilion to slowly find him/herself surrounded by mirrors showing their reflection. 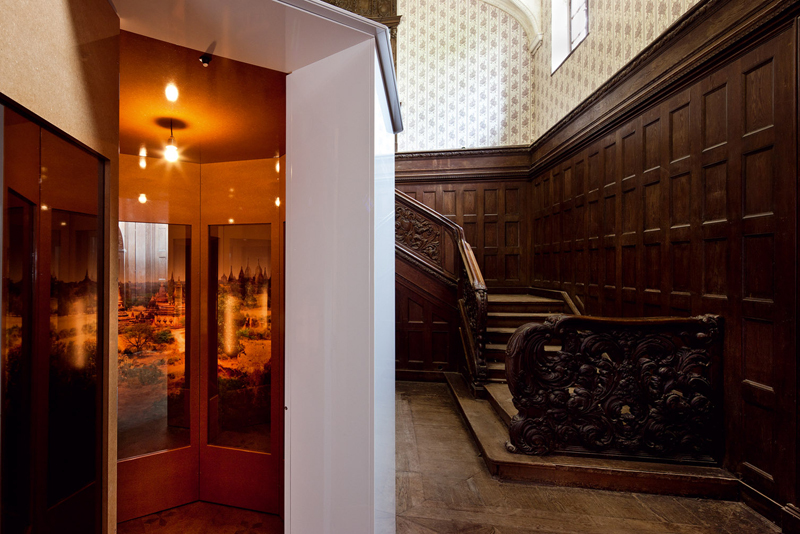 Thereafter a sensor mechanism is tripped, and the viewer becomes gradually aware of the emergent lights that are switched on behind the mirrors.